1. 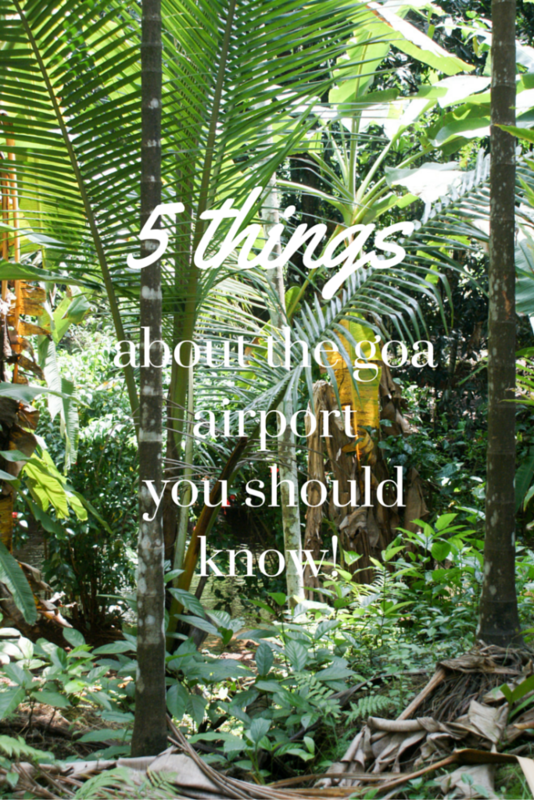 No photos – As I was landing, they made several announcements, and one was not to take photos of the Goa International Airport. This is because the India military also operates out of the airport and am I sure they don’t want you selling photos of the airport to anyone! 2.You get doused with insecticide – Ok, so they don’t just do this in Goa, but I have been told they do it in all India airports. Along with the same announcement they made about the photos, I had about 30 seconds to cover my mouth and nose in order to prevent myself from inhaling tons of insecticide. While many of us probably don’t want to go through this, you don’t have a choice when going to India. I was concerned it would bother my asthma, but it didn’t. Oh, and they spray you again when you leave! 3. Print your booking confirmation or have your tickets before you get to the Goa Airport – They were checking everyone’s booking and tickets before they let you enter the airport, which, of course, I didn’t have. They did have the Qatar Airways’ manifest, but it would have been faster (at 2 am) to have it on hand. I am assuming this is due to it being a military airport. 4. No ATM! – I quickly discovered that there is no ATM in the arrivals area. While the hotel was picking me up, I had no rupees at all and felt uneasy about not having any money. 5. Stamps, Stamps and More Stamps – As I was leaving, I realized they like to stamp everything. There was the normal stamping of your passport, but the agent at check-in kept telling me to make sure to get my carry-on baggage tags stamped. I had no idea what that was all about, but I soon learned. After your bags clear security, they stamp the baggage tags and your boarding pass. You need have your boarding pass and passport while going through security and not in your carry on, like me. They then stamp your boarding pass. At some other point, they stamped my boarding pass again, but I was so tired I can’t remember when or where. It did feel like a mission, both coming and going! You’re welcome!